Don’t be scared. It’s just an egg. 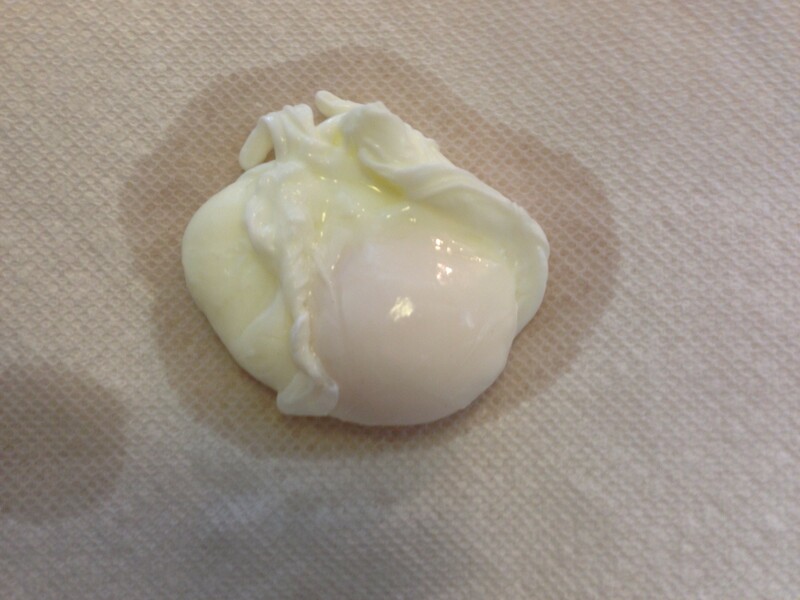 A lot of people get intimidated by the poached egg. The good news is that if I can do it, so can you. Now let’s get going. Heat a saucepan filled with at least 2-3 inches of water. Make sure the water is not boiling, but is hot enough that steam is coming off the surface. Add a teaspoon or so of vinegar. 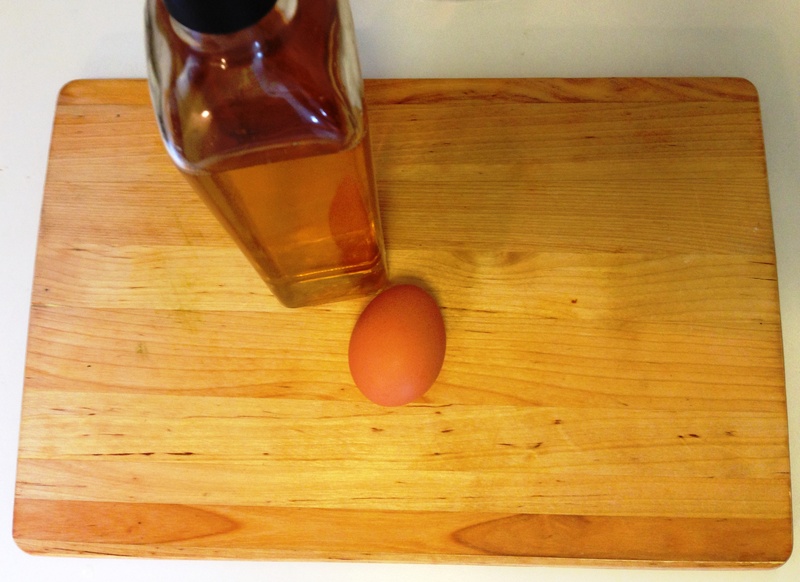 The vinegar helps the egg stay together. Do not add salt–this has the opposite effect! 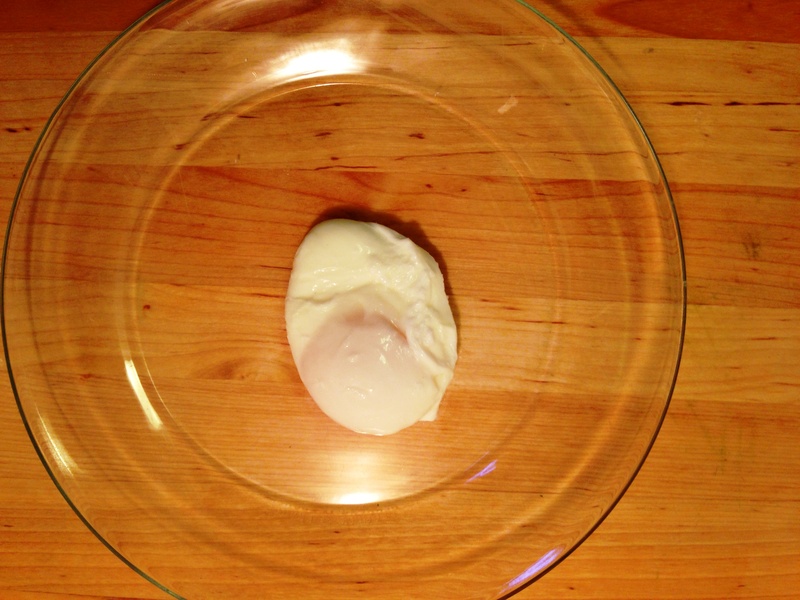 Crack your egg into a bowl. 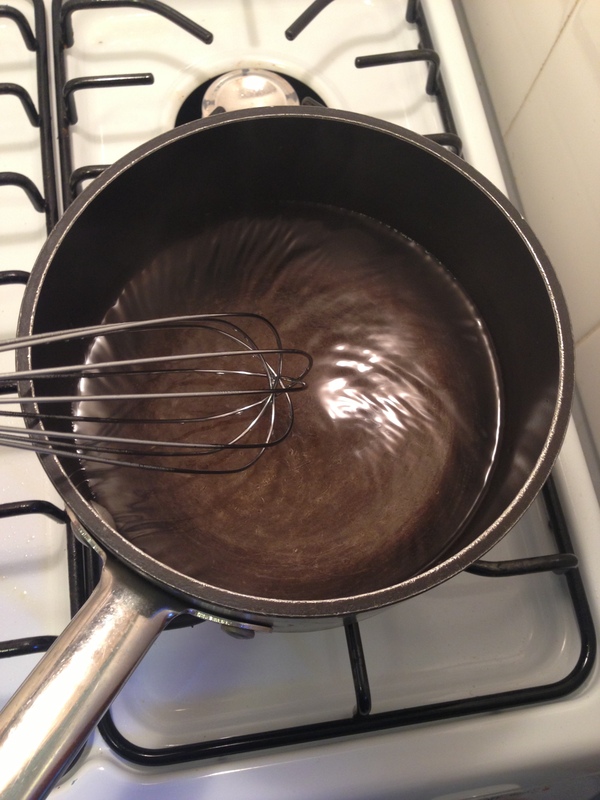 Use a whisk or whatever utensil you have on hand to create a small whirlpool in the hot water. 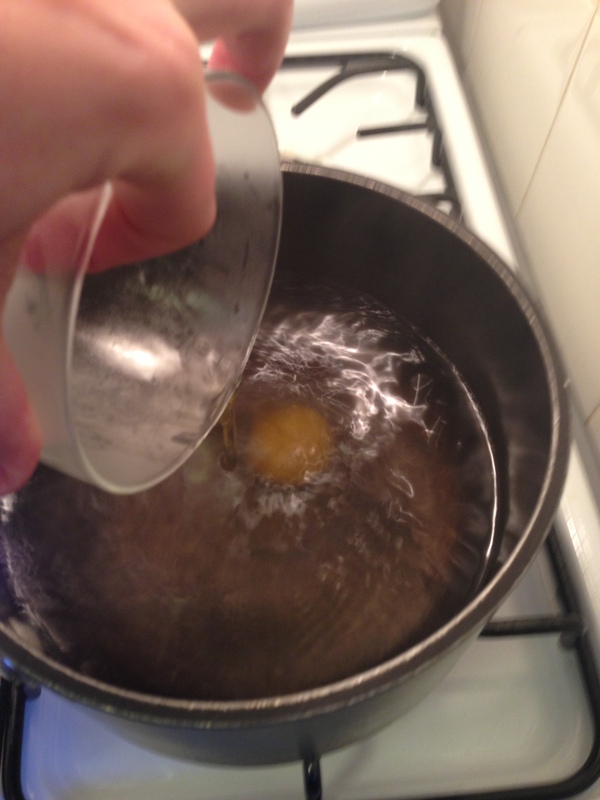 Now get ready to gently drop the egg into the center of the pan. 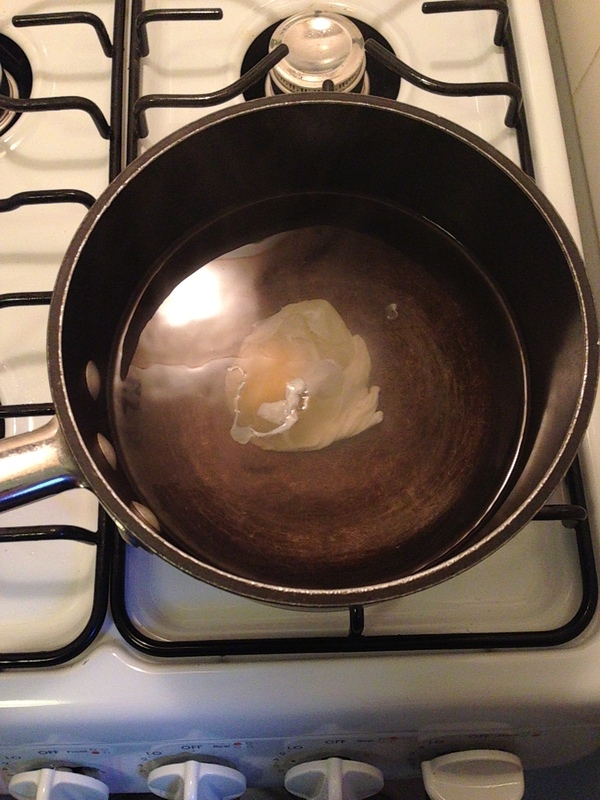 Let the egg cook for a few minutes. I usually know it’s done when the egg whites become less translucent.With a slotted spoon, gently scoop the egg out of the water. Transfer to a paper towel to dry. Now dress it up or dress it down. Happy eating!